Health wearables are now ubiquitous and are disrupting almost every field you can think of. According to sparkpe.org even the humble school P.E. lesson is adopting the use of wearables to help kids appreciate the link between physical exercise and their daily lives. The Youth Sports Trust is also emphasising the need to include wearable technology and gamification in physical education classes in schools. So given that the technology and associated apps are permeating every corner of our lives, it does raise the question of whether these inexpensive, consumer focused devices could in fact be used to inform medical professionals in a clinical setting. Although the gap between consumer wearables and medical grade technology is certainly reducing, assurances around safety, reliability, including tolerance for errors and of course the security of using consumer based wearables in healthcare are high on the agenda. Yet, even now there is a marked increase in their adoption for use in clinical trials, a quick search of the U.S. clinicaltrials.gov registry for Fitbit, Garmin and FuelBand will return a significant number of trials that are focused on collecting data using consumer level devices. However, where such devices might be used in a primary, secondary or social care settings it would appear that they remain firmly rooted in the proof-of-concept stage. Many health apps are available via various app stores, but almost all are unapproved from a regulatory perspective and even state in the small print: ‘this product is not a medical device’. Some health app developers have also faced legal action for claiming their apps are backed by credible scientific evidence which turned out to be erroneous. From the opposite direction vendors of medical grade wearables are quickly looking to the ‘Internet of Things’ for low cost, low powered devices that can monitor patients outside of hospital walls. Philips for example operate a cloud service called HealthSuite which is an open platform that collects, compiles and analyses clinical and other data from a wide range of devices and sources. HealthSuite examples include the monitoring of Chronic Obstructive Pulmonary Disease (COPD) where a patient on inhaler treatment can self-monitor oxygen levels using a wearable device. At the same time, this health data is shared with the care team in real-time so they can quickly respond to patients in need. Philips see monitoring of patients outside of the hospital as a key way to help reduce the burden on health and social care systems. How accurate are they really? Health wearables today don’t just count your steps from the pub to your home. They come fully loaded with GPS, accelerometers, gyros, pressure sensors, heart rate monitors and environmental sensors that, quite frankly, know more about what’s going on than you do, especially if it was in fact a late one at the pub. Popular vendors such as Fitbit, Strava, Nike and JawBone offer a bewildering array of health wearable devices. Your choice will tap you into the respective ecosystem where you can monitor, record and even win coveted virtual badges for your achievements such as climbing the height of Everest or walking the length of the Great Wall of China. You can also choose to share your data with other providers or expose it to other third-party apps. 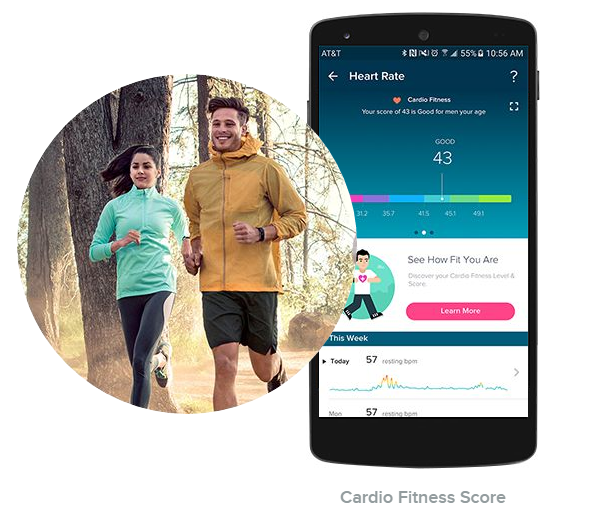 Valencell, an innovator in performance biometric data sensor technology, and MEMS & Sensors Industry Group surveyed 706 consumers, ages 18–65, on their knowledge and preferences around wearables, which were defined as a device, clothing and/or accessories incorporating computer and advanced electronic technologies. Among those surveyed, more than 42% of respondents own, or have owned, a wearable device, and the majority (63%) ranked accuracy as a highly important feature of that wearable. Among wearable owners, 80% feel that their wearable has a positive impact on their health. For those who do not own a wearable, 74% of would consider using one if accuracy in wearables could help them to better manage their health. So how accurate are these consumer health wearables? Would a healthcare worker or clinician really trust the data? Do you in fact trust the accuracy of your own health wearable? Well, let’s take a closer look at the popular Fitbit devices and consider whether they really are fit-for-purpose. In 2015 the Center for Behavioral Cardiovascular Health at Columbia University Medical Center tested the accuracy of these devices. The trial consisted of twenty-three healthy adult participants with an age range of 20–54 years and a body mass index range of 19.6–29.9 kg/m2. The participants completed a four-stage treadmill exercise protocol consisting of walking at slow (1.9 mph), moderate (3.0 mph), and brisk (4.0 mph) paces; and jogging (5.2 mph). 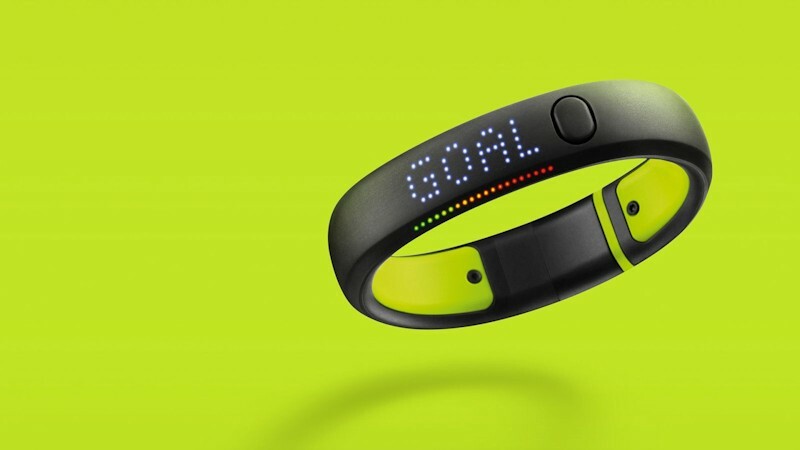 Work is underway to look at how to bring health apps and related health wearables in to the scope of medical devices regulation and on this front there has been much discussion about how best to regulate them, even the suggestion of a new regulatory framework. However, in order to do so, commercial organisations will need to be transparent about how their software and hardware operates, how the measurements are achieved and their accuracy, backed by credible scientific evidence. Security around how data is collected and secured both at rest and in use is a key area of focus, as is the ability to allow a patient to be informed and provide appropriate consent as to how their data is used especially where additional parties are involved. There are also some key issues to resolve around accountability. For example, who would be responsible for a problem occurring where more than one vendor was involved? If a health wearable and its associated app is produced by one party and feeds data into a second parties ecosystem and is then used by clinicians to manage a patient, who is liable for any issues such as a missed alert or missing data? In an attempt to reduce the gap in the health research space Apple has launched a new development called ResearchKit and the associated CareKit — an open-source software framework to create apps and to use wearables for medical research. ResearchKit is clearly a step forward in standardising a methodology that regulators could perhaps use to approve both wearables and the apps that support them in a health research setting. ResearchKit supports the process of recruitment by taking potential participants through an eligibility process and provides digital consent as well as feedback and survey information. The NIHR Clinical Research Network is currently exploring opportunities that such technologies offer as a way to on-board patients into clinical trials run within the NHS and support qualitative and quantitative patient feedback. Another ResearchKit app called EpiWatch has enabled people to accurately track the onset and duration of seizures in real-time, creating a correlation between episode history and medication. Participants sensing an impending seizure launch the app by tapping on their Apple Watch. The accelerometer and heart rate sensors are triggered, and an alert is automatically sent to a designated family member or caregiver. So while GP’s are unlikely to be prescribing consumer wearables any time soon, it is clear that pace and adoption of health wearables and apps is growing. Eventually they will need to meet the standards of approved medical devices likely out of necessity. Regulation will be a must and it may well be then that the adoption of a regulated framework for health wearables will have to be mandated at the government level. In the meantime there is no question that health wearables and apps do in fact educate people about the link between physical exercise and their daily lives. They can even motivate a person to lose weight, exercise more and feel better about themselves, and in an ever demanding digital world this has to be a good thing all-round.